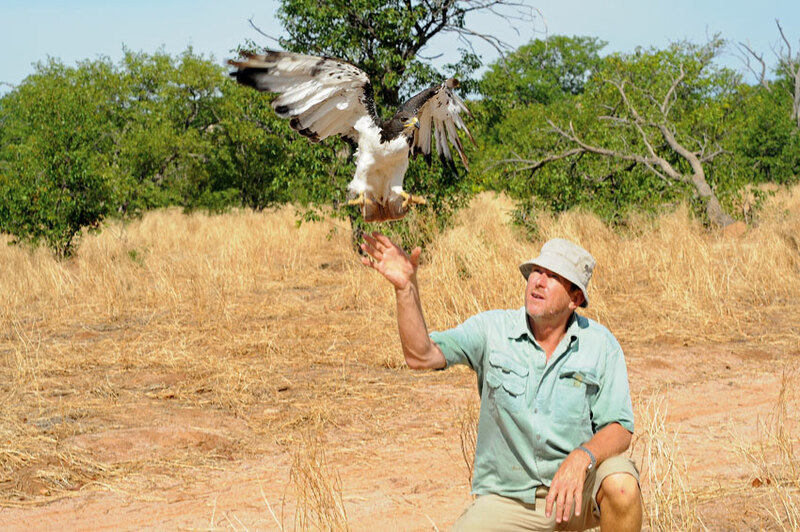 Steve Braine, well-known Namibian bird expert and naturalist who hails from a birding fraternity, has spent his entire life with birds. His grandfather was an aviculturist and his father a keen birder. The avian interest has been passed down through the generations to Steve’s sons, Sean and Dayne, who continue the tradition. 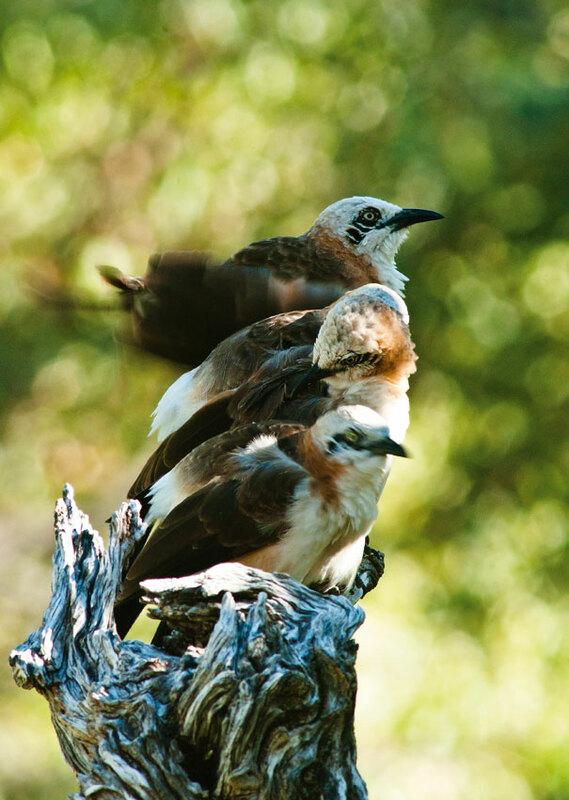 They join Steve and co-founder, John Lötter, as knowledgeable guides in Batis Birding Safaris, guiding guests to top birding destinations. 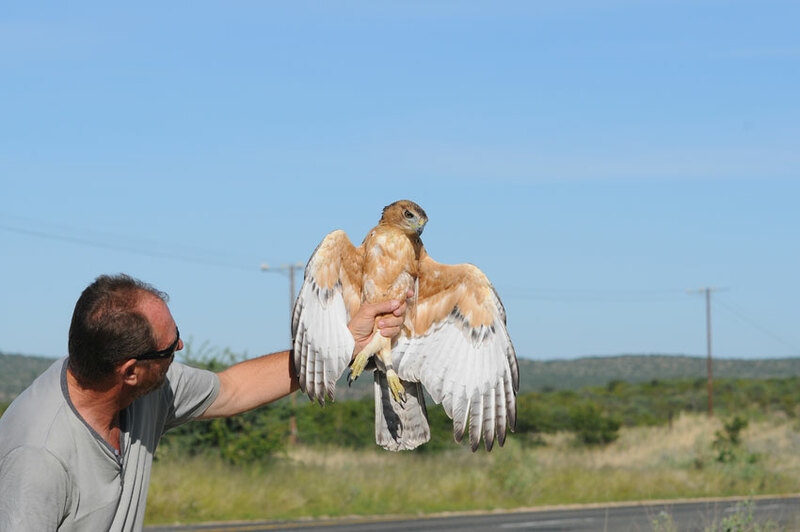 Steve studied conservation in South Africa, worked for the Directorate of Nature Conservation (which became the Ministry of Environment and Tourism – MET – after independence in 1990) in Namibia and has since been doing research, including netting and ringing, on various bird species. Honeyguides are known to lead honey badgers (and humans) to beehives. The Greater honeyguide flits from tree to tree, chattering continuously until it reaches the hive. Bushmen have always used honeyguides to find honey and leave a portion aside for them, believing that if they fail to do so, they won’t be led to the hive again. 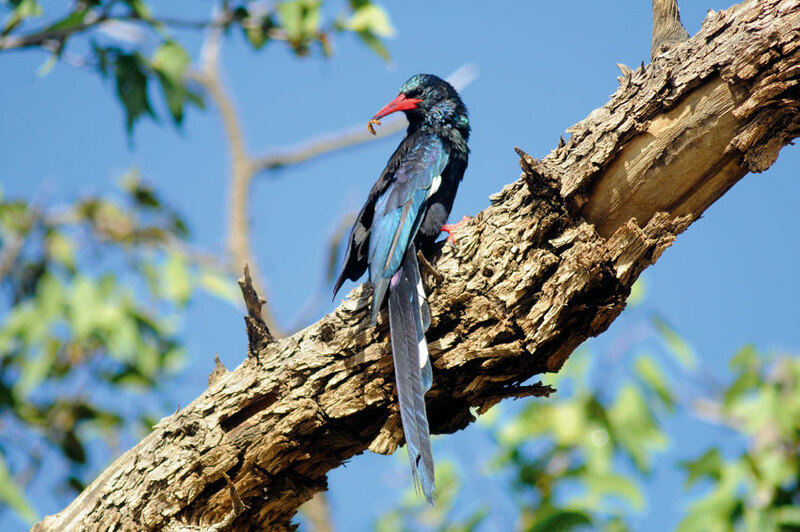 The honeyguide is one of the only birds able to digest beeswax. Rosy-faced lovebirds carry building material to line their nests in their rump feathers, rather than in their beaks. They make use of holes in trees, crevices in rock faces and abandoned birds’ nests. They are good indicators of water because they need to drink. 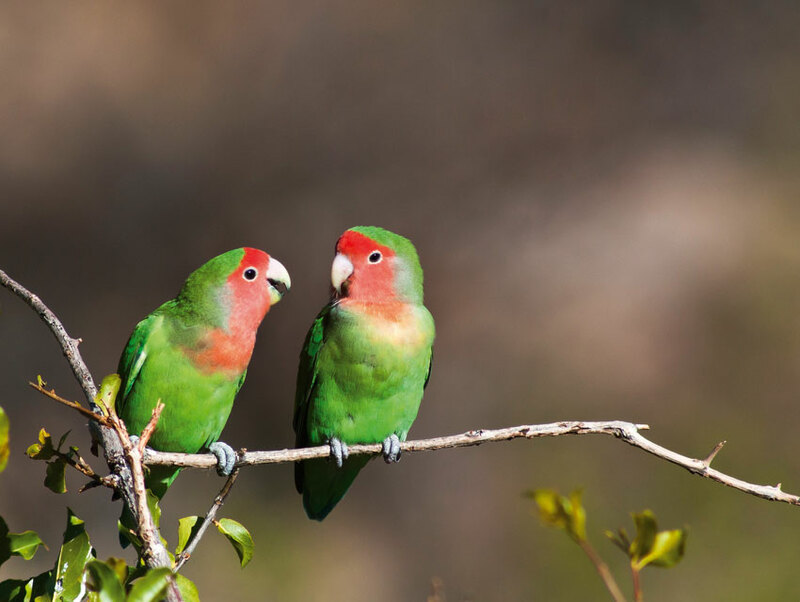 If you find Rosy-faced lovebirds in a riverbed, you know water is within flying distance – up to 5 km – away. Sociable weavers build the largest nests in the world. They live in arid areas and only drink when water is available. 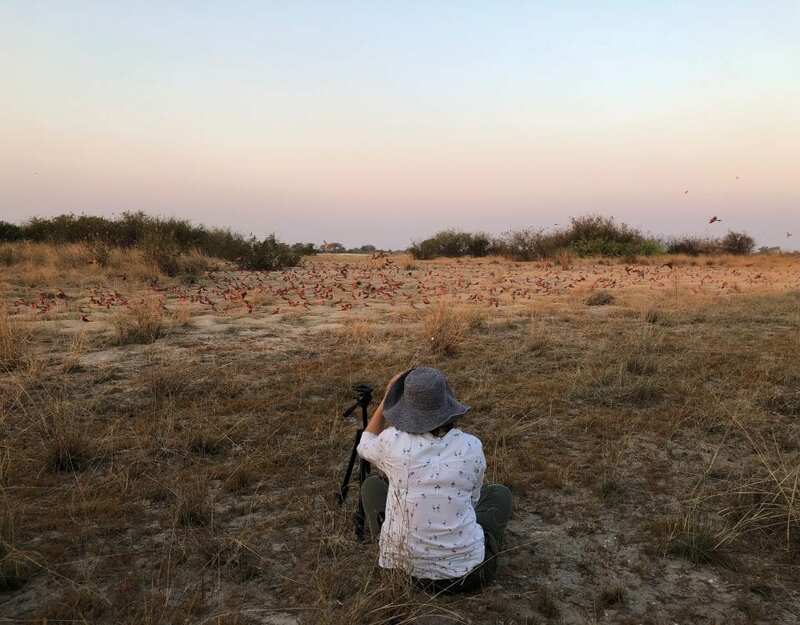 Their nests are used by a multitude of other birds: Spotted eagle owls nest and roost on top, and Pygmy falcons, Rosy-faced lovebirds, Acacia pied barbets and Red-headed finches make use of the nest chambers. During the breeding season, the male sandgrouse soaks its specially-adapted breast feathers in water and flies up to 50 km to its nest to moisten its eggs or for the chicks to drink. Owls are silent flyers, which is used to their advantage while hunting. In a pitch-black night, they are able to pick up the sound of their prey without seeing it. Birds of prey have forward-facing eyes, which gives them binocular vision (the fields of view of the left and right eye overlap), enabling them to judge distance accurately. The woodpecker has a shock-absorbing mechanism that allows it to peck wood as hard and as often as it does – which can be up to 22 times per second – without causing a headache or brain damage. This entails having a stout beak, spongy bone between the beak and the cranium, and the hyoid apparatus that supports its long tongue. Paradise whydahs out of breeding season are almost identical. 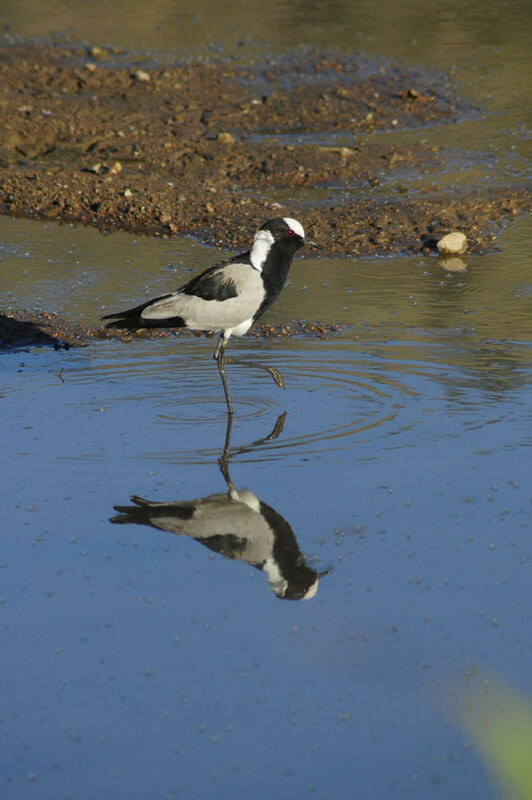 The males grow their spectacular breeding plumage after the rains to attract as many females as possible. The females lay two eggs in a Melba finch nest, but unlike cuckoos, their chicks don’t eject the eggs or young of their host. The whydah chicks mimic the fluorescent spots in the host chick’s gape, directing the parent bird to their opened beaks. Palm swifts build their tiny nests of saliva and feathers in the dry palm fronds of makalani palms. They stick the eggs down with a saliva mixture to prevent them from falling out of the nest in heavy wind. (Palm swifts are one of the few birds that don’t turn their eggs during incubation.) The swift clings on to the nest to brood the eggs. When a predator approaches a Kittlitz’s plover’s nest, it feigns a broken wing as a distraction and kicks sand over the eggs. When the predator has departed, it scrapes the sand off and continues incubating.